At Neighborly, we think extraordinary neighbors are worth celebrating. So much so, that we’ve partnered with Neighborly home service franchises in Jacksonville, Florida, to honor one deserving individual and his family! Meet Robert Hearman. 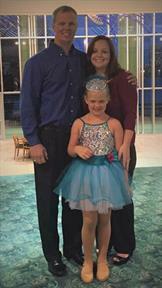 Robert lives in Jacksonville with his wife, Amber, and their nine-year-old daughter, Haileigh. 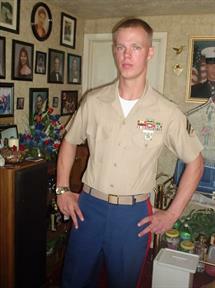 Robert was enlisted in the Marine Corps from 2001 to 2005, and served two tours in Iraq as part of Operation Iraqi Freedom. Robert now works incredibly long hours, six days a week, as a machine operator for a paper and packaging manufacturer to selflessly provide for his family. We think Robert is pretty extraordinary! To recognize him and show our appreciation for his contributions to his family, his community and his country, we’ve chosen Robert as our very first recipient of The Neighborly Project. What’s The Neighborly Project? We’re glad you asked! The Neighborly Project is our way of saying “thank you” to extraordinary neighbors in communities near and far. We’re excited to give back to this special veteran in the Jacksonville, Florida, area by completing several small home improvement projects, free of charge. Of course, we couldn’t do this alone. We’ve rallied our Neighborly family of home service brands, including our friends at Mr. Handyman, Rainbow International, Molly Maid, Mr. Rooter Plumbing, Window Genie, Glass Doctor and Mr. Appliance, to get the job done right for Robert and his family. Home service experts will be replacing doors, touching up the home’s exterior, repairing fencing, power washing outside surfaces, replacing fixtures, installing shelving, and much, much more - it’s the least we can do! We’re thrilled to kick off renovations this week on Thursday, June 14! Stay tuned on our Facebook page for live updates from Jacksonville. What does it look like to be a good neighbor? How can you be extraordinary in your community and home? Over the next couple of months, we’ll discuss these topics right here on our blog. We hope you’ll join us!